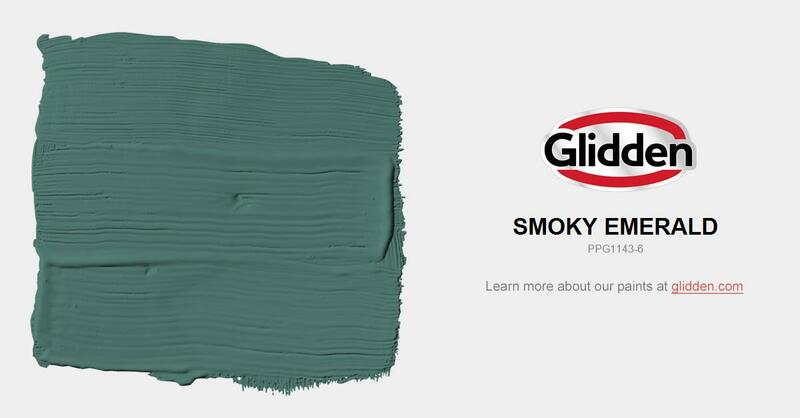 Deep and luscious this nature-inspired grey green is a luxurious tone for a powder room or study. Use also as an accent wall with lighter surrounding walls, for instance PPG 1143-2 Blue Lullaby. Pair with soft off-white trim or for a well-designed look, paint the trim all the same color.